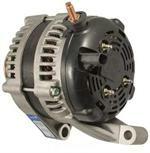 Nippondenso (Denso) Type Alternator Used On Chrysler 300, Dodge Charger, and Dodge Magnum. 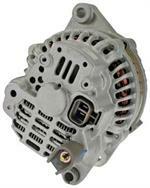 Replaces: Chrysler 4896803AA; Nippondenso (Denso) 421000025, 421000033; Lester 11112. 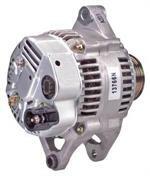 140 Amp, 12 Volt, CW, 6-Groove Pulley. 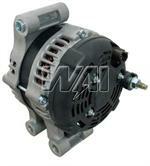 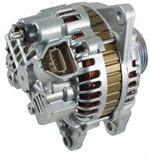 Brand new replacement alternator for 2008-2012 Chrysler and Dodge vehicles with Denso type alternators. 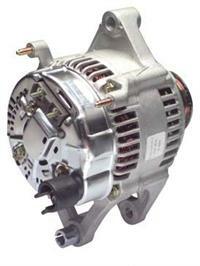 Rated at 160 amps output and manufactured to strict OE specifications, highly dependable. 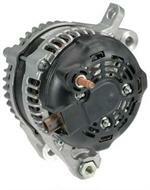 Remanufactured replacement alternator for 2008-2012 Chrysler and Dodge vehicles with Denso type alternators. 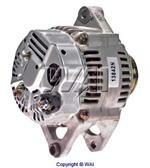 Rated at 150 amps output and remanufactured to strict OE specifications, a great value. 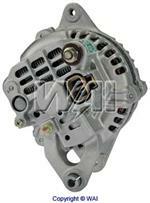 Mitsubishi IR/IF 65 Amp, 12 Volt, CW, 4-Groove Pulley Used On (1990-89) Dodge, Plymouth Colt 1.6L(1990-89) Eagle Summit 1.6L w/ MT(1992) Eagle Summit 2.4L std. 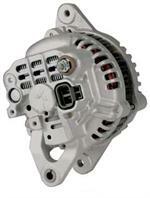 (1994-90) Eagle Talon 2.0L w/ MT(1994-90) Mitsubishi Eclipse 2.0L w/ MT(1992) Mitsubishi Expo 2.